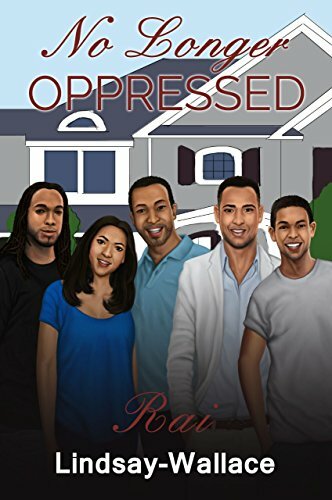 about this book: No Longer Oppressed is about living the truth. Seemingly the happily married couple, Frank and Sherry Reed were living the blissful Christian Good-Life. Yet, behind closed doors were a lot of skeletons in the closets. Faking it in church, but miserable in the home. Their marriage was on the rocks, and their two sons were walking away from their faith, while the youngest tried to hold it all together. It’s a journey of finding your way back from hopelessness to loving self and others even the more. Rediscovering that God is always there…even when it feels as if He’s nowhere to be found. This book is a part of the Freedom Series: No Longer Captive, No Longer Oppressed, and No Longer Oppressed. After meditating on Luke 4:18-19, I began writing stories that depicted the true Gospel of Jesus Christ – to heal the brokenhearted, proclaim liberty to the captives, recovery of sight to the blind and give liberty to the oppressed. It is my desire that the readers find healing from past hurts and broken relationships, forgiveness for themselves, and understand that God loves us unconditionally and eternally. No matter how far we stray from God, He is always waiting with open arms to gather us in His arms and love on us like nobody else can or ever will. Frank and Sherry’s love will stand the test of all times. Love never fails. It always prevails!